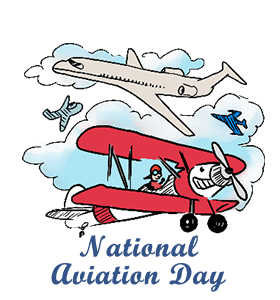 National Aviation Day is celebrated every year on August 19th. In 1939, Franklin D. Roosevelt designated it a National holiday. National Aviation Day honors the birthday of Orville Wright, who along with his brother Wilbur, pioneered the way for aviation and flight as we see it today. Without them we wouldn’t be able to get across the country at the drop of a drop of a hat. Though back in 1939, flight was much different than it is today. In the early 30’s. Flight was mostly reserved for the military and the rich back then, and it wasn’t until the late thirties that it became more mainstream. In 1940 alone, nearly 1.2 million Americans had flown commercially. Today, more than 2.5 million people fly in and out of airports every single day. For some people, just the thought of flying 30,000+ feet up into the air is anxiety inducing, however, a lot people actually enjoy it. Many of people enjoy it so much that they learn to fly a plane. In fact, Attorney Seufert actually has his pilots license, though it’s been a few years since he’s flown.